We offer a wide range of finishing materials, so you can be as creative with your design as you like. 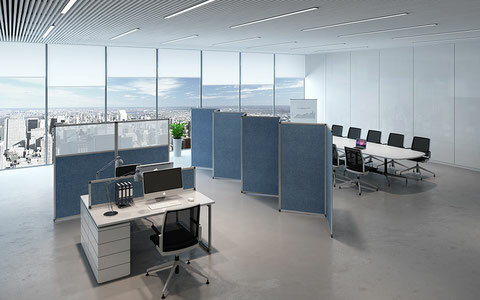 Each Reyem partition comes with an assembly kit which allows you to combine several units to form a screen to suit your space. 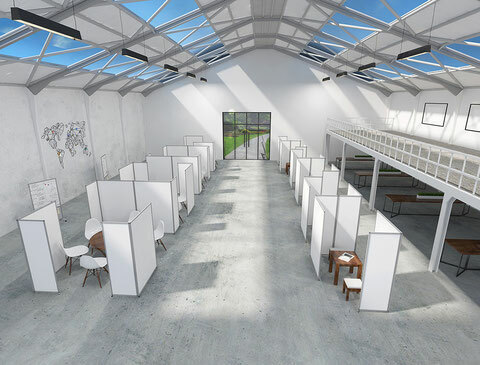 Acoustics have become a key consideration when designing office spaces. Good acoustics lead to improved comfort and well-being in the workplace, factors which are crucial to ensuring good productivity. 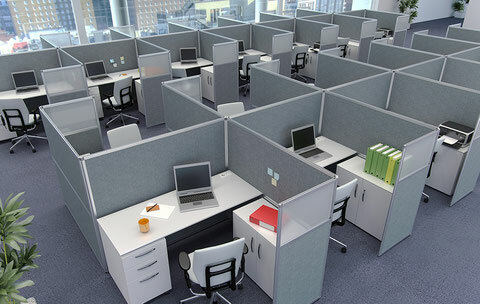 Reyem partitions allow you to vastly improve the acoustics of your working environment. 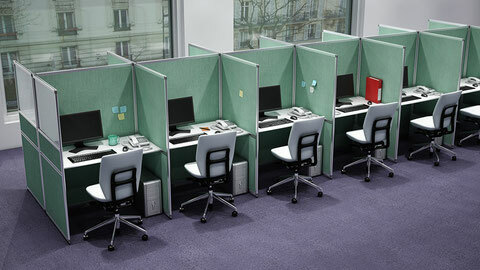 Reyem office screens can be adapted to suit your existing installations and are available in a wide range of finishes. Acoustic versions are also available. 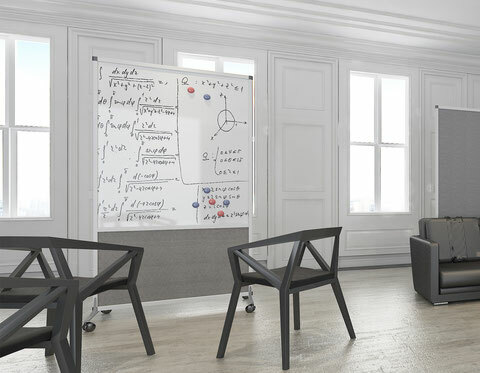 With all the functional and modular features of standard Reyem partitions, our magnetic panels feature either a “white enamel” whiteboard or perforated sheet steel finish and are perfect for use in meeting rooms or display areas. 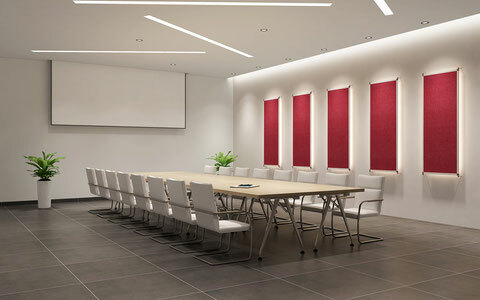 Our finishing materials are identical to those used on our partitions: melamine, fabric, acoustic or Super-Acoustic, part glazed with acrylic glass or polycarbonate. Our Call Centres are manufactured using the same Reyem assembly system and provide a solution that’s ready to go when you are. 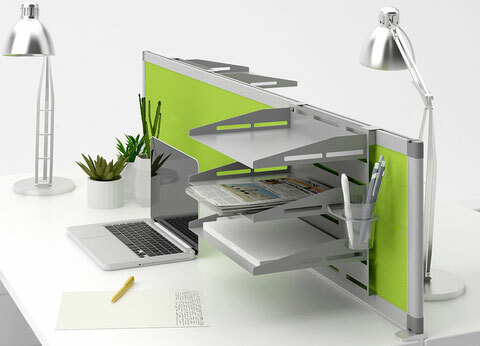 We offer a wide range of finishing materials: melamine, fabric, acoustic or Super-Acoustic, opaque, or part glazed with acrylic glass or polycarbonate. 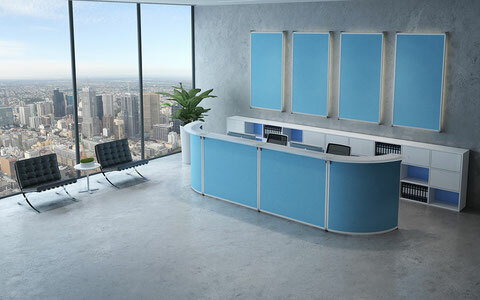 Reyem reception desk or welcome desk panels can be adapted to suit your offices thanks to the range of finishes on offer: melamine, fabric, opal glass-style acrylic or perforated sheet steel.